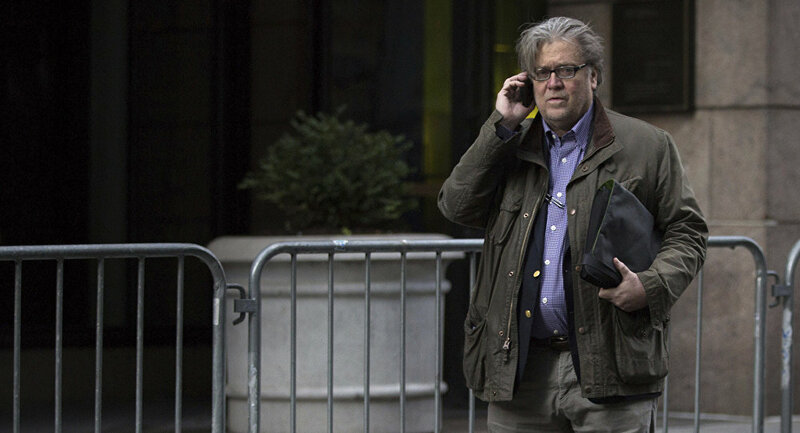 Trump won't relent in the US-China trade war until reaching "victory," the South China Morning Post reported Friday after interviewing Bannon. Bannon has been notoriously aggressive in his rhetoric against China for years. 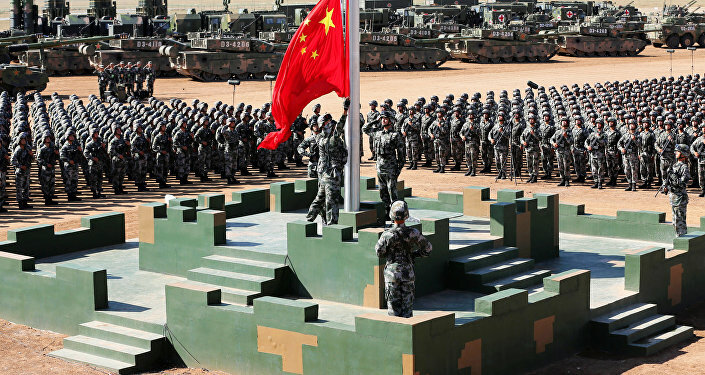 "We're at economic war with China. It's in all their literature… One of us is going to be a hegemon in 25 or 30 years, and it's gonna be them if we go down this path," Bannon told Prospect in 2017, referring to previous China policies he perceives as lenient. This week, the Trump White House imposed tariffs on $200 billion worth of Chinese goods at a 10 percent rate that's set to rise to 25 percent by the end of 2018. Beijing responded with import duties targeting $60 billion worth of US exports flowing into the Chinese market. Bannon's version of victory won't be attained until China gives up "unfair trade practices" and the US is able to "re-industrialize America" and regain a strong manufacturing sector, Bannon told the Post. "Our factories got shipped out of here. Wall Street made a fortune. The private equity made a fortune. Right now, President Trump's focus is on stopping it," according to Bannon. In Bannon's view, the scope of US tariffs targeting more than $500 billion worth of Chinese goods has been so large that it's caught Beijing "off guard." "It's not just any tariff. It's tariffs on a scale and depth that is previously inconceivable in US history." He also noted that China has relied on "round after round of talks" to buy time. "They always want to have a strategic dialogue to tap things along," he said. "Dialogue and consultation on the basis of equality, good faith and mutual respect is the only right way out of the China-US trade issue. But, for now, what the US is doing shows no good will and sincerity," a spokesperson for the Chinese Ministry of Foreign Affairs told reporters Thursday. The One Belt One Road project connecting 70 countries and revolutionizing international trade is one of driving factors behind the US-China trade war, RT's Anya Parampil reported Thursday. Moscow is a strong proponent of the massive infrastructure investment project that aims to revive the ancient Silk Road trade routes connecting Asia to Europe, according to Russian President Vladimir Putin. Trump's trade war can only be viewed in context of prior actions taken by Washington. "The United States has a consensus position on China. Donald Trump represents a tactically different orientation than Barack Obama. But let's not forget: Barack Obama, too, [launched] in 2011 with the so-called Asia pivot, which was placing 60 percent of US Air Force and naval assets in the Pacific region by 2020," said Brian Becker, National Coordinator of the Act Now to Stop War and End Racism (ANSWER) Coalition. "Trump has used a different lever, though, and that is to impose harsh economic tariffs. In other words, instead of trying to build a multilateral opposition led by the United States against China — which Obama's strategy was — Donald Trump feels that unilateral bullying and punishing of China will have the impact of driving China backwards," Becker, who hosts Loud & Clear on Radio Sputnik, told RT this week. The Movement: What is Steve Bannon Cooking up in Europe?